Wine Gifts & Garden Ornaments Shipped from and Delivered within Malta Only! 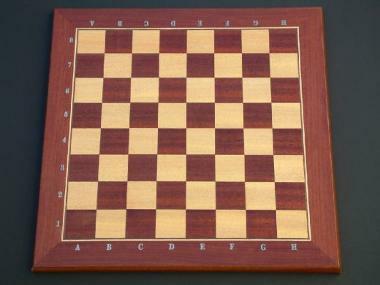 MaltaWebShop.Com is a Malta based Online Gift Shop that offers Handcrafted, Wooden Chess Boards. 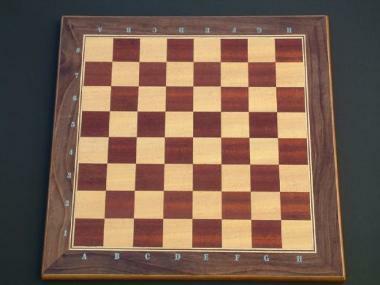 Hand Made, Wooden Chessboard - These 50cm x50cm wooden chessboards are European made from massive wood and in addition to playing chess these are ideal as a decorative table top. A great gift for any avid chess player! CB001 - Wooden chessboard cherry brown and natural cream wood Custom made handcrafted wooden chessboard in plywood and finished in Walnut / Mahogany natural veneer and lacquer. Dimensions: 20 x 20 x 0.75inch - 500 x 500 x 20mm - tile is 2 x 2 inch - 5 x 5 cm. CB002 - Wooden chessboard cherry brown & natural cream wood Custom made handcrafted wooden chessboard in plywood and finished in Walnut / Mahogany natural veneer and lacquer. With Alpha-Numeric grid. 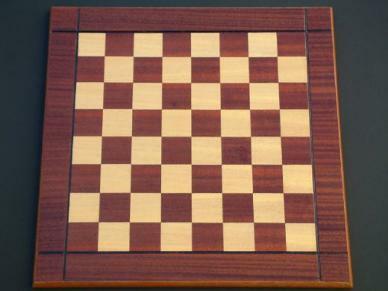 CB003 - Wooden Chessboard cherry brown and natural cream Wood Custom Made Handcrafted Wooden Chessboard in plywood and finished in Walnut / Mahogany natural veneer and lacquer. With Alpha-Numeric grid.